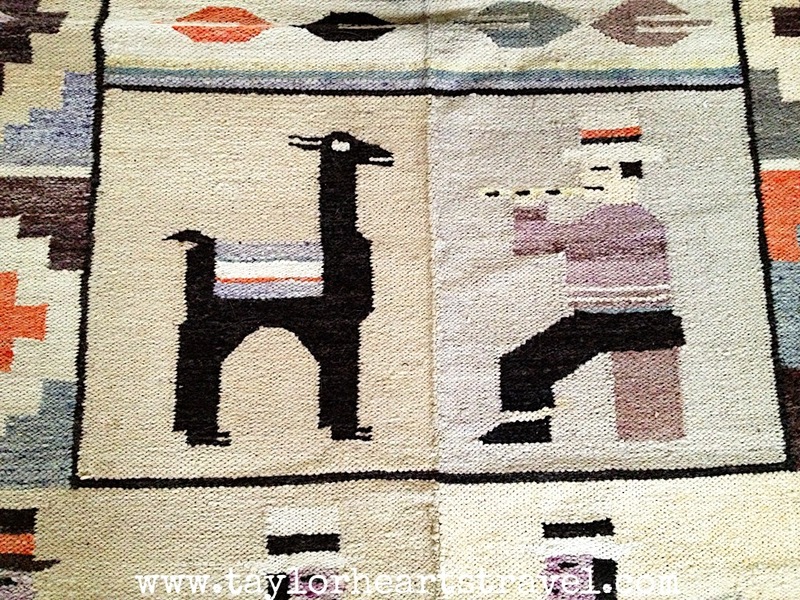 It’s only right (in my world anyway) that I dedicate a blog post to my beautiful travel treasures from Peru. After nearly six months, I have finally moved into my new home and I have been itching to unpack my lovely travel belongings. Some of them have never even had the chance to be showcased as I bought them while I was in my temporary accommodation – they’ve been patiently waiting to be unwrapped (whilst I’ve been impatiently counting the days down to move in day). Although my trip to Peru was aimed at ticking a bucket list item off – the famous Inca Trek to Machu Picchu – I knew that I would have to bring a little slice of Peruvian style back with me. 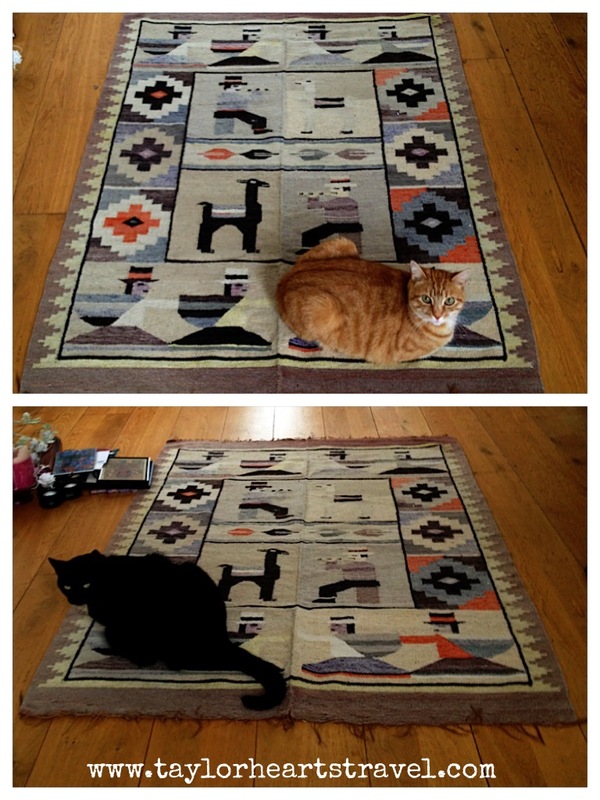 The hunt for a rug was ON. You can recap my blog post on shopping tips in Peru here. I found this stunner in Ollantaytambo, in a little shop a few minutes away from The Sacred Valley. When I say shop, I mean a small, dark stone box of room. 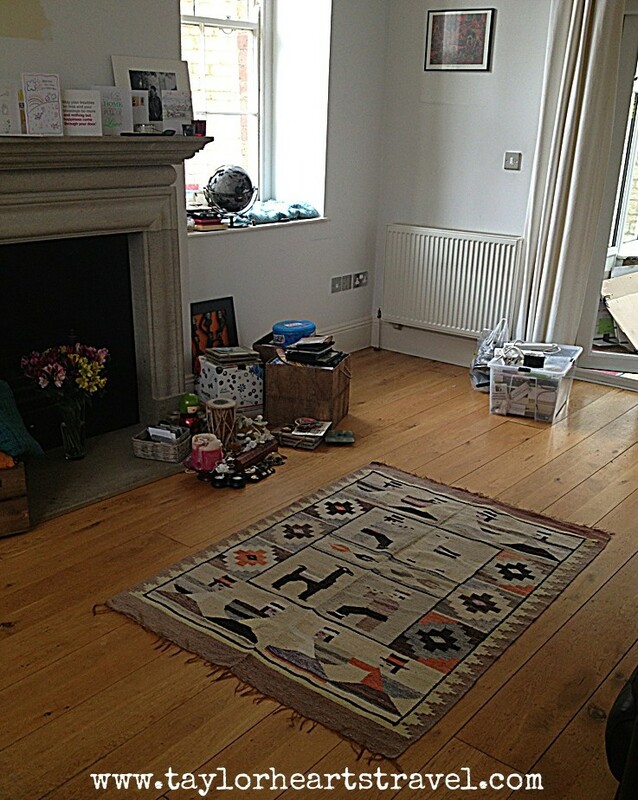 Rugs, throws and ponchos were piled from floor to ceiling. There was no colour coding or categorising – you simply had to cast your eyes over the centimetre of material that was trying to peek through. 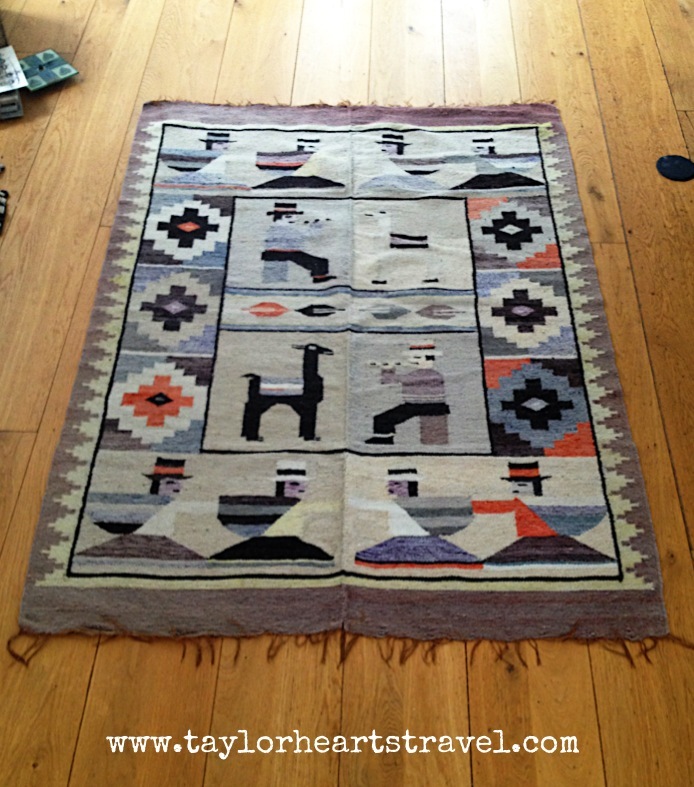 Luckily I saw potential in my rug’s centimetre and typically it was sandwiched right in the middle of the stack. The undeterred owner promptly pulled it out and proceeded to lay it out. Excuse the boxes and mess, I’ve just moved in! I loved it and it seems my cats are even bigger fans than me – it was a struggle to get them out of my shots!